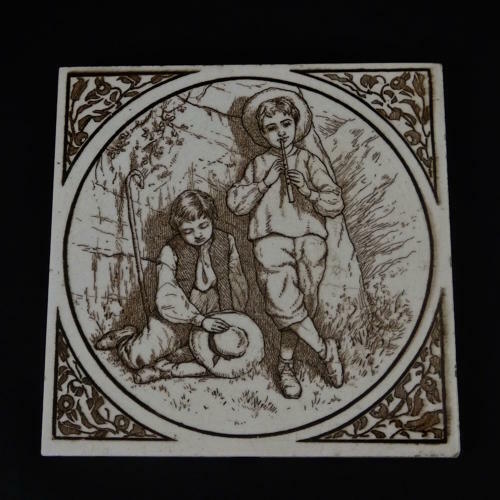 A Victorian picture tile printed with a scene depicting two young boys, one playing a pipe and the other with a stick. This piece dates from c.1880. It is transfer printed in brown and the print is a good quality. It is in very good condition.